The winter is coming, which means that the nights are getting longer, the air is growing colder, and the mornings are becoming increasingly more unbearable, at least for those of us living in the northern hemisphere. Why suffer through the winter season bored, when technology allows us to have so much fun straight from our phones? That said, if you’re looking for something to keep you occupied, offline iPhone games do a great job at this. If you follow along with us below, we’ll show you seven of our favorite choices that don’t require a Wi-Fi connection. Let’s dive right in. Minecraft: Pocket Edition is first up on our countdown. The game is aimed for those five and up, but adults can have a ton of fun in this creative sandbox as well. Minecraft allows you to create almost anything — you’re only limited as to what your imagination can come up with in the game. Some players have even re-created the Millennium Falcon in the game! On top of that, Minecraft: Pocket Edition has some awesome role-playing game elements as well. There’s an end boss that you can work up to as well — you’ll just need to make sure that you gather the resources necessary to craft some of the top armor to face the evils found in the Minecraft world. Your path is up to you — create beautiful structures, or gather resources to craft armor and weapons to fight off the evils that lurk in the Minecraft world. Next up, we’re looking at Plants vs. Zombies 2. It’s a beautiful and vibrant game with some arcade-style gameplay. You place plants in a garden, which each have their own weapons and abilities. You can collect your favorite plants, like Sunflower and Peashooter, along with hundreds of other plant-based options, which are used to fight off oncoming zombies. As you progress, levels get progressively difficult, which requires upgraded plants to fight off tougher zombies. You can actually earn items called Seed Packets, which can power up attacks, speed up planting time, and even gain entirely new abilities. See how far you can progress! 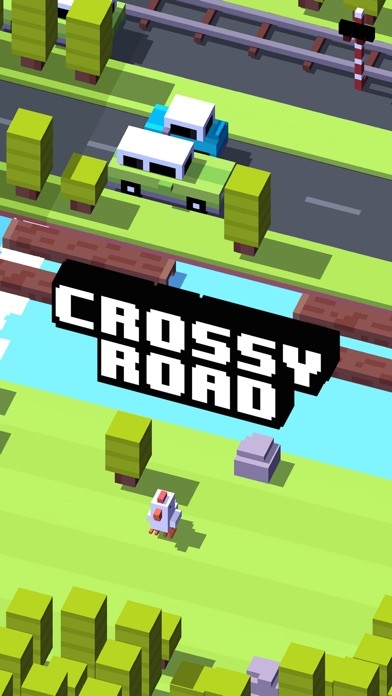 Crossy Road is a super-simple arcade game where you play as a chicken, and your objective is to cross a busy road. Since the game’s release in 2014, it has been downloaded over 150 million times, and the developers have released a number of addons that add new challenges and skins. Crossy Road has unique pixelated graphics that make the game instantly appealing to players of all ages and further increase the fun factor. Give Crossy Road a try and see if you can add your name to the top of the leaderboard. 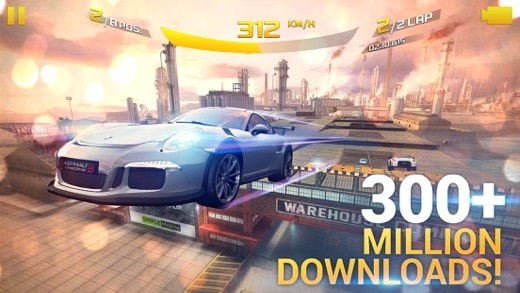 Asphalt 8 is a popular racing game with realistic graphics that can push even the latest iPhone to its limits. You can either play offline, or you can connect to the Internet to access exclusive deals, play in multiplayer, participate in special events, receive notifications about new deals, buy car packs, collect various rewards, download new maps, and access Gameloft help. Asphalt 8 has been translated into most major languages, and the developers frequently release updates that fix bugs and add new features, keeping the game feeling fresh and interesting. Oxenfree is an innovative adventure game that combines supernatural 1980’s teenage horror with realistic characters and a masterfully designed dialog system. If you’re a fan of Stranger Things (and can’t wait for the second season), Oxenfree will give you the fix you crave so much. 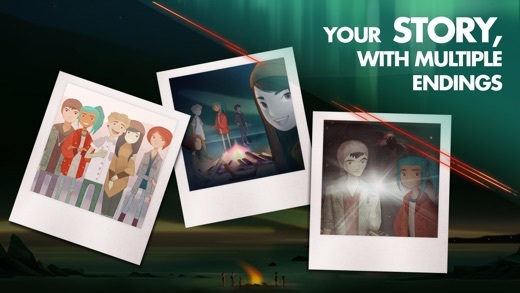 And if you just enjoy a good story and can appreciate strong writing and interesting plot twists, Oxenfree is guaranteed to grab your attention as well. The game costs $4.99 and works on all iOS devices with iOS 9.1 or later. 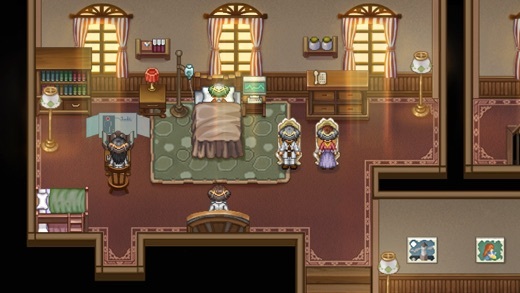 To the Moon is a story-driven RPG that originally debuted on PC but was recently ported to iOS. The game is about two doctors who travel back through a dying man’s memories to artificially fulfill his last wish. What this wish is and how the story ends is something that we want you to find out on your own. If you’re not a big fan of role-playing games because of their complexity and the required time-commitment, then you should know that To the Moon is very light on RPG gameplay mechanics and plays more like an adventure game. 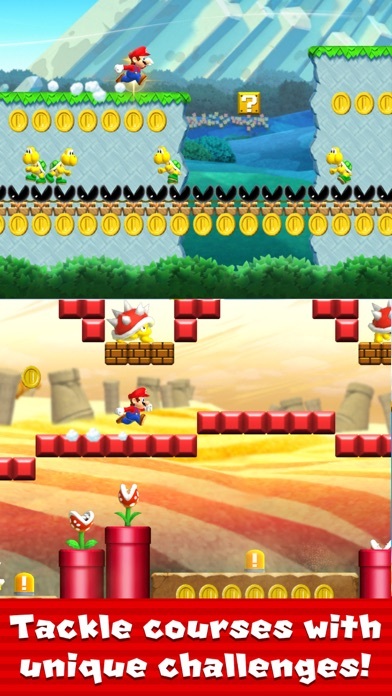 Super Mario Run is Nintendo’s first official iOS release and an interesting take on the beloved platformer that so many of us have grown up with. Unlike the Super Mario series that you can play on your TV, Super Mario Run is controlled by tapping. Your goal is to time your taps to pull off stylish jumps, midair spins, and wall jumps to gather coins and reach the end of the level. You can download and play Super Mario Run for free, but the game will cost you a one-time investment of $10 to unlock the whole Mushroom Kingdom. As you can see, there are a lot of excellent offline iPhone games out there. On top of that, we’re only just scratching the surface on what’s available today. Our favorites are easily Minecraft: Pocket Edition and Plants vs. Zombies 2. Both of these offer a ton of content that will keep you pretty busy for weeks to come. There will always be a place for Minecraft on your phone as well, as the amount of fun you can have is only limited by your imagination. It’s literally an endless amount of fun and creativity. Do you have a favorite offline iPhone game? Sound off in the comments section below, and it might make it to our list in the future!